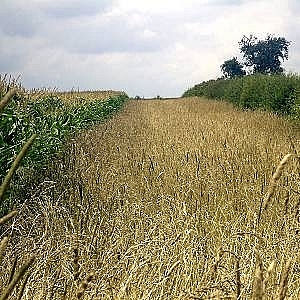 The BGM1 produces attractive field margins offering permanent wildlife ‘corridors’ and a physical barrier to weeds. A blend containing a high proportion of taller, tussocky grasses designed to create an environment attracting and protecting a wide range of insects, birds and mammals. The BGM2 is lower growing grass species combined to produce a dense, easily managed turf, which when grown alongside the BGM1, will attract a wider range of wildlife, provide an easier run for larger mammals and produce a barrier reducing the risk of weed infestation to any adjacent crop. More functional than BGM1 offering a lower growing option. Good ground cover potential for weed suppression. The BGM3 is an improved version of the BGM1 mix. The inclusion of legumes not only improves the drought tolerance of the sward but also attracts more insects and adds a splash of colour when flowering. The WBS1 provides cover and feed for small birds, mammals and game throughout the year. Will provide shelter in “open” cover and shed seed through the late Autumn and Winter period. No cover in the second year. The WBS2 provides more cover than WBS1, with seed shedding in Autumn and Winter to provide feed. 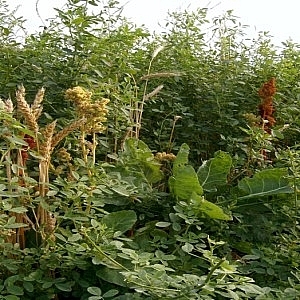 The Kale, Sweet Clover and cereal volunteers will provide feed and cover in the second year. 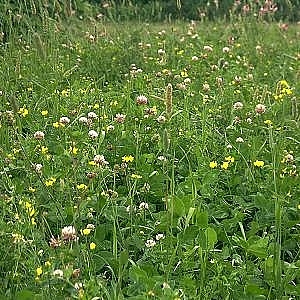 A broad spectrum grass and legume mixture that contains a number of species which provide an excellent source of nectar for bees and other insects over an extended season. Attractive extra colour in field margins combined with excellent drought tolerance. Similar growth pattern to BGM 1 for maximum insect, bird and mammal retention.